Server Configuration section explains how to configure the server using a step-by-step process. In this spring boot tutorial section, we have explained various topics, such as how to configure spring boot with Tomcat server, Jetty server, spring boot server response compression, spring boot random server port, changing the port and many things clearly with examples. In this spring boot tutorial section, you will see how to configure application packaging clearly in various steps. Here, we have explained the application and building tools related settings with the tool such as Gradle. So, now we will explain different aspects of application packaging and related configurations which is actually an important and primary operation while performing spring boot application development. After understanding application packaging, it is required to understand application configuration. So, in this spring boot tutorial section, we will make you understand the application configuration using a step-by-step process. 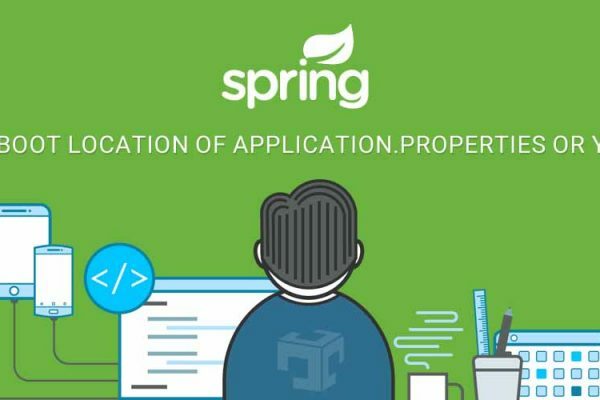 This section helps you understand reading application properties in spring boot, ways to read configuration spring boot, spring boot get application arguments and many more. The following concepts are useful for both beginners and professionals. After getting knowledge on spring boot application development, now it is time to learn Dev Ops related actions. This section makes you understand Dev Ops in spring boot application development. It teaches you about spring boot flyway, spring boot profiles, and spring boot view build information with examples. This spring boot tutorial section helps you get enough knowledge on Dev Ops and also helps you perform Dev Ops at the application level. Data persistence is very important for any enterprise application and so it is a must to have a finer grip on data handling to become a professional spring boot application developer. You can understand data persisting operations with prominent data technologies in this spring boot tutorial section as we have explained everything related to data persistence here, in the easy steps! Application development is too advanced now and so it is important to learn about Rest Service. It is essential for any spring boot developer to learn Rest Service. So, in this spring boot tutorial section, our experts have explained various examples to help you understand spring boot rest service. These topics will be useful for beginners and professionals as well. Security is the most important aspect that you cannot neglect to maintain a successful application. Spring Security is essential for the spring developers and they must keep in mind that it is highly important to know about security. Different methodologies and aspects of Spring Security with spring boot application development are explained in this section. Being a major concern, spring security has a big place in spring boot application development world. So, various best enterprise practices are explained in this spring boot tutorial section, to make people understand the concepts clearly. Session management shows and direct impact on the application performance and User experience. Effective use of Session management is the only way to build an enterprise successfully. In this spring boot tutorial section, you will learn spring boot session listener, session timeout, spring boot session using Redis, and secure session cookies. In application performance and user experience, caching plays a prominent role. In this spring boot tutorial section, our experts clearly explained various topics, such as spring boot hazelcast, database caching, clearing all cache with examples. Check the below topics to understand caching clearly. Microservices is said to be the heart of spring boot application development. Spring cloud provides required tools for building cloud applications for distributed systems, easily and quickly. In this spring boot tutorial section, our professionals have explained spring boot cloud eureka server, client and request routing examples. For better user experience, it is important to customize the default behavior. Spring boot provides the way to customize error pages, setting custom Icon etc. In this spring boot tutorial section, we have explained miscellaneous topics of spring boot application development with Spring MVC. Please write a comment for specific requirement so we can give you more examples related to your requirements.